Alright stylists, we’re sure you’ve already heard of the latest and greatest in Keratin Treatments, so you’ve probably already used and loved Simply Smooth Keratin Treatments. But, have you hear of the Straight Up Reparative Blowout Kit? If you haven’t now is the time to become familiar. This is the easiest way to boost up your salon revenue and give your clients the most luxurious blowout they could ever have! Here’s a little bit of information on this blowout kit that includes everything you need to keep up with your own keratin treatment in-between services or introduce your clients to keratin at their next salon appointment! Description: The Simply Smooth Xtend Straight Up Reparative Magic Potion Kit contains all the essential products for restoring lost keratin to your hair. The Magic Potion Kit contains the Magic Potion Treatment that will fix all your hair care dilemmas and the products needed to maintain the treatment. 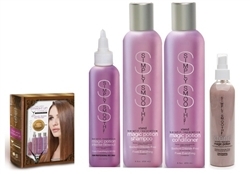 The Magic Potion Kit will help keep hair protected from thermal heat styling and color treatments and will also help lock in hair color to prevent fading in color treated hair. Incredible amounts of shine and volume will be added to your hair. Feel: I’m loving the creamy lather you get from the shampoo that gets slightly more lather than other keratin shampoos on the market. The condition is super lightweight and they both smell FABULOUS. All of these products have a delicious tropical scent that lasts until your next shampoo! The Reparative Magic Potion comes in a convenient spray bottle that sprays on like a lightweight slightly creamy detangler and combs through in seconds. Magic Potion Intense Blowout has a slippery texture that helps make a little bit go a long way without weighing the hair down while packing your hair with reparative keratin and nutrients. For a Standard or Daily Blowout: For a regular magic potion blowout, I started by shampooing my hair with the Magic Potion Shampoo and Conditioner. I shampooed once, rinsed, and applied the conditioner (focusing mainly on the midshaft-ends of my hair) and left it on for about 5 minutes. Once towel dried, apply the Reparative Magic Potion Spray all over and comb through. Blow out as usual. For a Reparative Blowout: Shampoo your hair as you would for a standard blow out but DO NOT condition. Apply a generous amount of Magic Potion Intense Blowout from scalp to ends. I used just shy of a quarter sized amount. 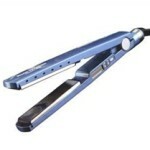 Blow hair out as usual and follow up with a flat iron for extra longevity. Results: I am in love with these blowouts. They leave the hair super smooth and shiny… Not just for hours but until your next shampoo (and even longer with the Intense Blowout!) The best part? This doesn’t take any additional time than your regular shampoo and blow-dry routine and is like getting a mini keratin treatment or keratin refresher every time you shampoo. This is an absolute MUST for salons. This add on service can instantly boost your revenue without taking any extra time. Imagine if you increased your blowout price by 10 dollars, took no extra time and did this on 5 clients a day? That’s an extra $50.00 added to your week without having to come in early or stay late! Pretty hard to resist right? 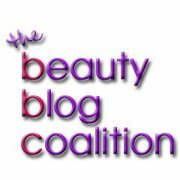 Let us know what you think Stylists! ← Everything You Want to Know About Hair Extensions!